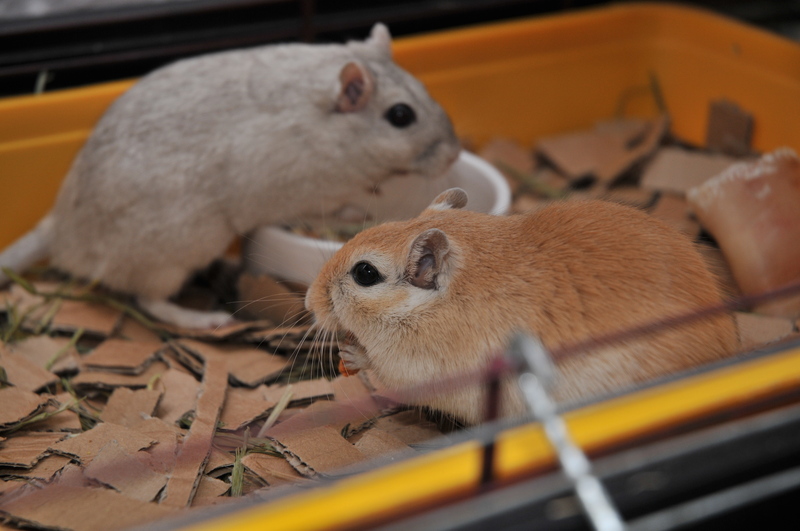 Mongolian gerbils (Meriones unguiculatus) are actually jirds rather than true gerbils, but they’re practically never referred to with that terminology due to classification issues at the time of naming. They are naturally found in steppe and semi-desert environments in Mongolia, northern China and southern Russian Siberia. I’ve started off my gerbil-owning with a pair of adult boys from Austin’s Hamster Haven. They were rescued in August ’15 and came to me in October. Collectively I’m calling them the “joyballs”; both a phonetic spelling of the silly way I once said gerbils, and also rather childishly amusing.